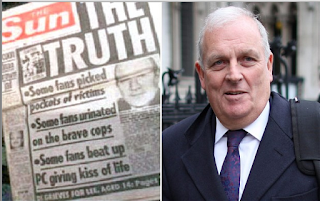 There is one sure sign that Rupe’s downmarket troops at the Super Soaraway Currant Bun know they are flogging a dead horse: they entrust the story to former editor Kelvin MacKenzie. So it has been with the increasingly desperate attacks on Labour leadership hopeful Andy Burnham, with Kel picking up the baton, only to make a complete Horlicks of the changeover and drop it again. His chosen angle is the MP’s expenses. Kel has discovered - some time after everyone else - that the MP for Leigh has claimed less than £50 for petrol in the last three years. Burnham’s constituents might find that reassuring: their man clearly only claims what he needs, and at a far from extravagant 45p a mile. But that cuts no ice with Kelvin McFilth. “ANDY BURNHAM is both a joke and a jerk [says the author of “GOTCHA” and “THE TRUTH”] and I fervently hope he becomes Labour leader, as that would put then out of office for a millennium”. Kel once supported John Major, but, as Clive James might have said, I digress. Back to expenses: “Everything you need to know about the Liverpudlian … is summed up by his travel expenses, where he submitted two Parliamentary claims [are there any other kinds that MPs make?] for just 22p an 60 others for less than a quid”. But, so what? “In commercial life he would have got very close to being fired by his company for putting in mileage claims of 0.5 miles at 45p a mile. As a minimum a manager would have taken him aside and suggested it would be wiser to withdraw the claims and take the costs of travelling these short distances on the chin … But what would Burnham know about real life? He has never had a proper job”. And, as Jon Stewart might have said, two things here. One, as Kel admits, Burnham “has never been upbraided for his exes”. So when the Telegraph exposed the likes of Michael “Oiky” Gove and his kitchen claim, or Young Dave for his wisteria clearing, or any number of other creative expense-claiming excuses, Burnham was being meticulous and staying within both the letter and spirit of the rules. There is nothing wrong with that. Moreover, two, Kel has somehow forgotten about the similar story of Tory MP Rob Wilson, the Fred Scuttle lookalike who represents Reading East, who has made more than 160 travel expense claims for less than £1 since 2010. Kelvin McFilth doesn’t seem to have a problem with him. Perhaps it’s because of his political affiliation. It’s not as if that news hasn’t made the national press - it was IN HIS OWN PAPER. 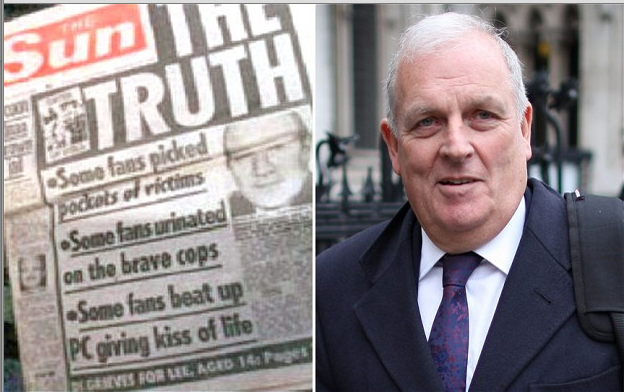 No, the real story that Kel is not telling is that he is still sore about Hillsborough, and his mistake in not only running a pack of lies on the Sun’s front page, but shunning the chance to withdraw and apologise when everyone else did, then refusing to acknowledge that he got it wrong, and ultimately saying A Big Boy Did It And Ran Away. Burnham’s support for the Hillsborough families makes Kel look bad. And he doesn’t like that. Kelvin McFilth is an absolute shower, and unfit to be called a journalist. No change there. If we want to get political-cynical here....Burnham could use a Mackgobshite attack as a badge of honour. Anybody decent will recognise it as such. Meanwhile, anybody who believes a word Mackgobshite comes out with is already on Planet Ranting Righty. "As a minimum a manager would have taken him aside and suggested it would be wiser to withdraw the claims and take the costs of travelling these short distances on the chin"
No, you'd fill in the automated form, scan the receipts into one large PDF and send the whole lot off. On trips to the US, I've personally put in claims for 38p because thats what it said on the receipt. Some companies would accept you rolling things up into a single amount on a nominal day but he doesn't have that luxuary. The "Real world" jibe coming from a paper that suggested it was ok to punch your boss and throw xenephobic jibes is very rich. The Sun's version of 'the real world' seems to consist of tabloid newsrooms and cash in hand small businesses, for whom VAT is a dirty word. One effect of our increasingly corporate world is that the sort of management and workplace behaviour McKenzie idolises is on the way out. As an addendum, McFilth really needs to get his gastric system checked out. If the mere thought of Andy Burnham makes him 'sick', goodness knows what effect the rest of humanity has on him.